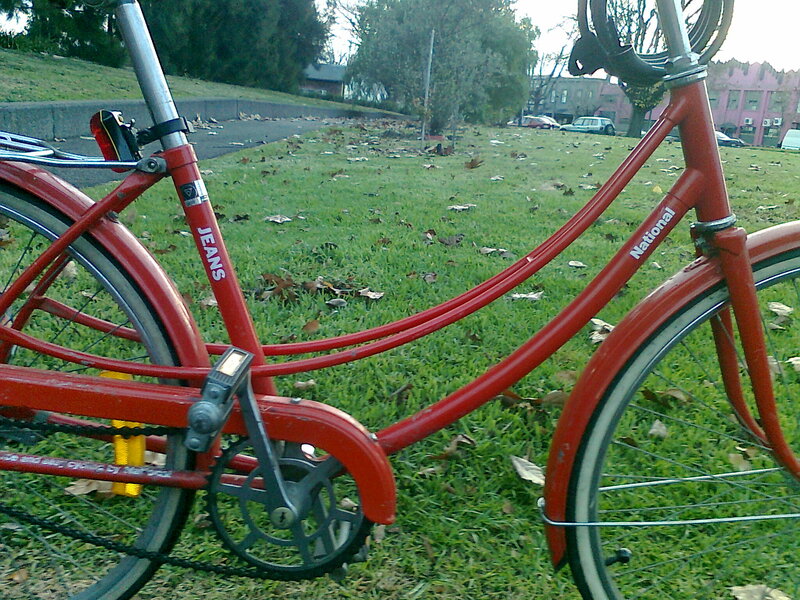 Not the jingoistic, flag-waving type of national pride, but a very smart red National bike that (I have on good authority) its owner is very proud of. And with frame like this who can blame him? What colour! What lines! 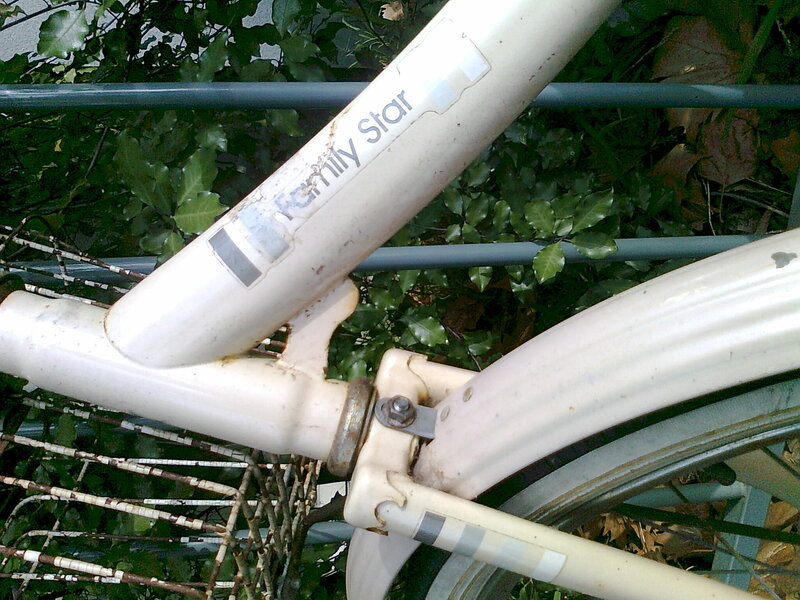 Keeping to the national theme, here is another of those home-grown little beauties that are fast becoming a familiar fixture on this blog: the Family Star , in all its single speed, coaster break glory. As with most Family Stars that I have seen, this one seemed to have the original white-wall pin-striped tyres. Malvern Star must have made those tyres of tough stuff for them to last this long. (I sadly had to replace my Gitane’s original white-walls as I was getting a puncture practically every time I ventured out). The bike was unaccompanied, so I had a good chance to capture a bit of detail, like the nifty little bracket on the bottom tube. Nice. 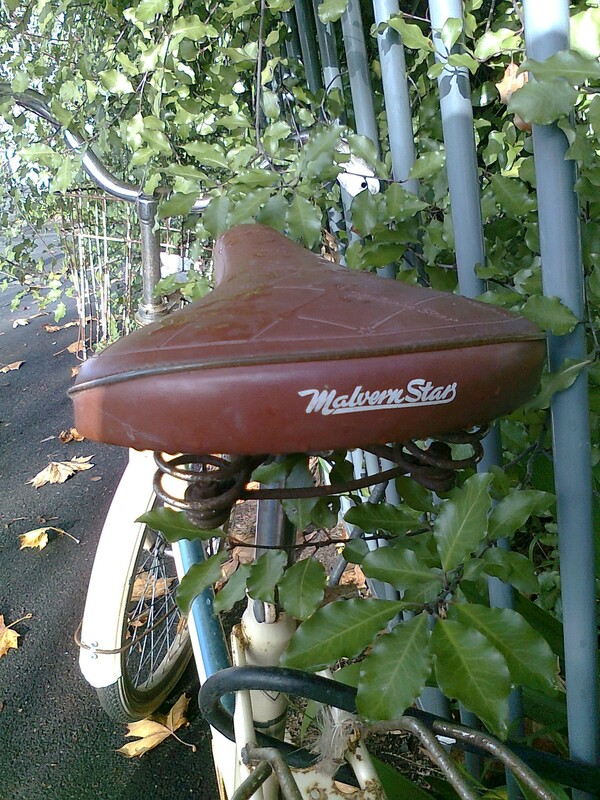 Everything looks original on this bike, including that fabulous saddle with Malvern Star embossed into it. What a treat. And a PS to the riders of these bikes if they have checked in – apologies for the post being up a little later than promised on my calling card…got waylaid by my other life. Ah, the National! My one true bike love. As the esteemed rider has alluded, I am indeed the owner of that fine machine, and your description of the beautiful girl is as sublime as the bike herself. 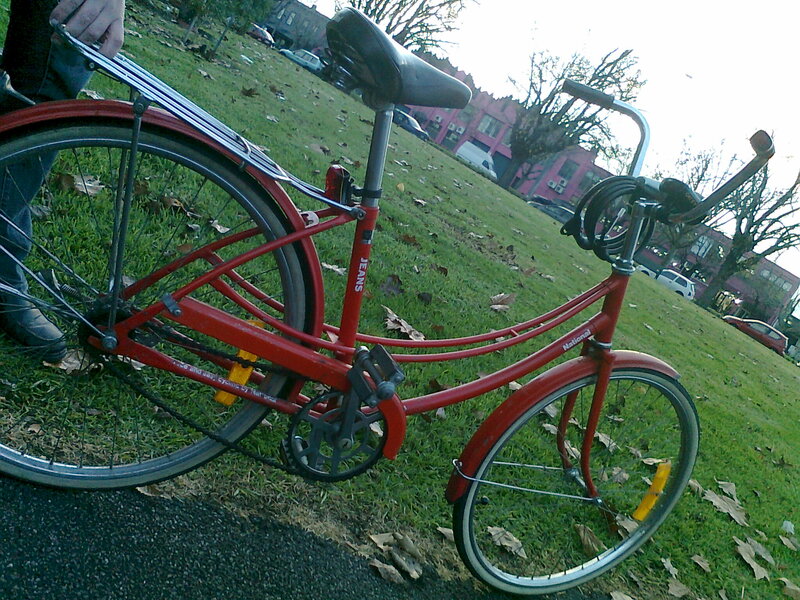 I discovered the National at the Salvo’s in Bentleigh, and the legend of the bicycle is a romantic tale. It seems some time in the Mid 60’s the National Corporation of Japan imported bicycles to Australia via the Melbourne Bicycle Co. As the shopkeep informed me, a Gentleman in the Brighton area purchased two of these bicycles for his children, complete with a personalised name (hence the “Jeans” on the saddle pole). 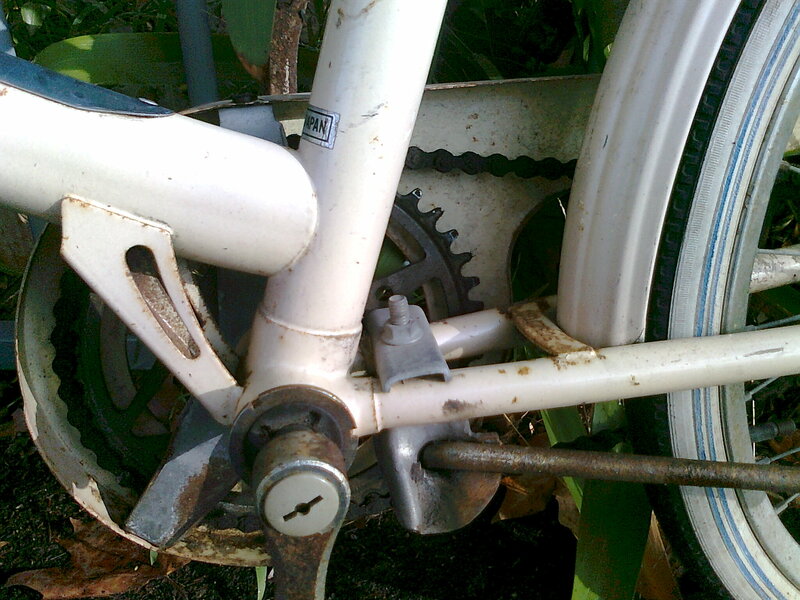 Whilst the sons bike was ridden into the ground, it seems Jean was not keen on cycling, so the National languished in the shed, protected from the elements for some 30 years! The passage of time saw the bicycle finally find it’s way to the Op Shop, from whence I certainly experienced love at first site, and could not bear to leave the store without her. Maybe one day she will pass on to a new owner, but wherever she goes, I’m assured she will be loved. aaaaaah,if there is one thing I love almost as much as discovering a little bike beauty, it’s the owner posting an explanation of its provenance. Your elegant turn of phrase clearly demonstrates your love of Jean. I am quite honoured to have her history here in little bike land. Well that explains the lack of apostrophe. Thanks for keeping us up to date.